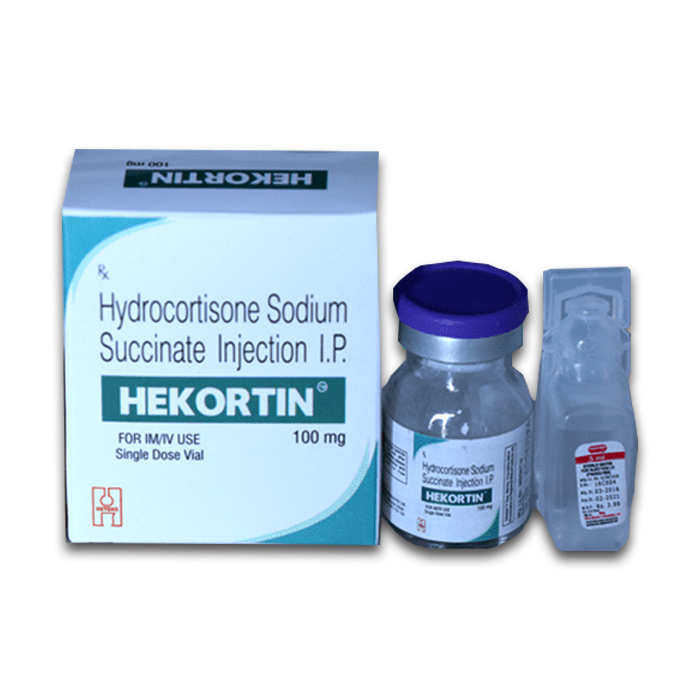 HEKORTIN contains Hydrocortisone Sodium Succinate. Hydrocortisone belongs to a class of drugs known as corticosteroids. Available in one strength 100 mg. Indicated for severe allergic reactions, arthritis, blood diseases, breathing problems, certain cancers, eye diseases, intestinal disorders, and skin diseases. Hekortin 100 mg Injection is used in the treatment of severe allergic reactions, allergy symptoms, cancer, skin disorders and eye disorders.